Creation Sunday — Why Do Anti-Creationists Scream So Loudly? Today is Creation Sunday. It was created in response to misleading atheist Michael Zimmerman's call to apostasy called the "Clergy Letter Project". 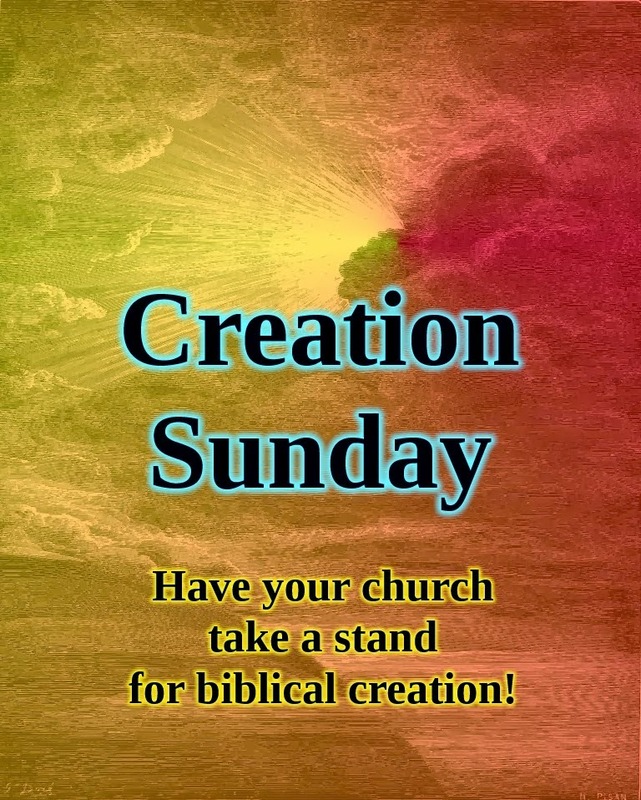 Creation Sunday is an effort to get Bible-believing Christians to take a stand for the truth, and to educate themselves on the importance of Genesis as well as how science supports creation and refutes evolution. Why is it that those owlhoots feel the need to slap leather with those of us who believe the Bible, to recruit compromisers, and to evangelize for atheism? You'd think that they'd be content to be "right" in their own eyes (Psalm 14:1) and their rejection of God, even though they know he exists (Romans 1:18-23). They insist that we're "wrong", but they have to protect "science" (fallaciously equivocating "evolution" with "science"), and are not content to leave us alone, nor show a modicum of respect for people who believe differently. The Bible makes it clear that the unsaved are deceived by their own wickedness (Jeremiah 17:9 KJV), and are under control of their father down below (John 8:44). They cannot understand Scripture (1 Cor. 2:14), despite the arrogant assertions of some. (When an unbeliever tries to argue Scripture, I think of Proverbs 26:7 and Proverbs 18:2.) I agree with this theology in the Reformed tradition, the "noetic effects of sin", where sin touches every aspect of someone's thinking. Atheists have no consistent moral standard, and atheism itself is irrational, lacking the necessary preconditions of human experience. Only the Bible is consistent and coherent, and has those necessary preconditions — beginning in Genesis. They're missing out on the love and forgiveness through Jesus Christ, and adoption as children of God (John 14:6, John 1:12), and cannot join us in looking at the wonders of creation, exclaiming, "My God, how great you are!" Because of their suppression of the truth, wicked hearts, blinded eyes, and control by Satan, they think they are doing something good by attacking! Cognate on this: People want to think they are doing good things ("He needed killin', Sheriff!") If you visit atheist sites and Pages on social media, you're very likely to find excuses for hating God and the Bible — but no actual evidence for atheism (there isn't any). Persecuting Christians, proclaiming the glories of Darwin's fundamentally flawed conjectures, uniting with apostate and compromising Christians, ridiculing and misrepresenting creationists are all a part of doing "good" things in their minds. 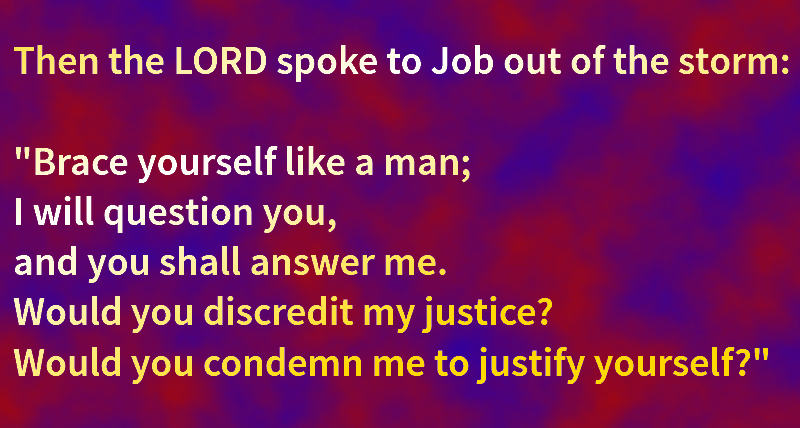 Trying to find fault with the Creator is utter foolishness (Job 40:7-8 NIV). Meanwhile, the rest of us who actually believe the Bible and stand for the truth will be persecuted (1 Thess. 3:4, Matt. 5:11-12, John 15:20). Their evil deeds are actually blessing us and increasing our rewards in Heaven! Out of hope that the lost will hear and respond to the gospel message, out of respect for the authority of the written Word of God, out of obedience to the commands of Jesus (Matt. 28:18-20, Acts 1:8). We celebrate the creation and the Creator, and we will not be silenced!